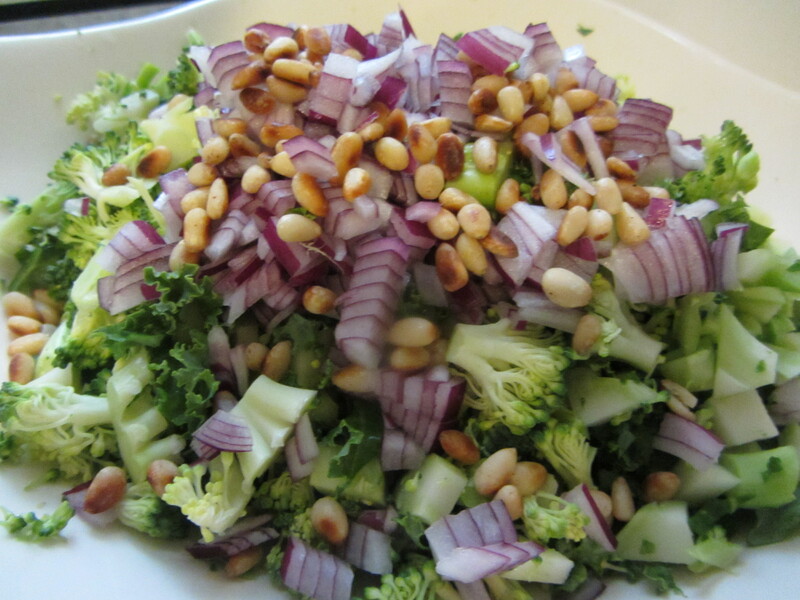 Yesterday’s chopped kale salad + chopped broccoli + chopped red onion = a sweeter version with a little more depth. Chop the kale as per yesterday’s directions. Place in medium to large ceramic bowl. 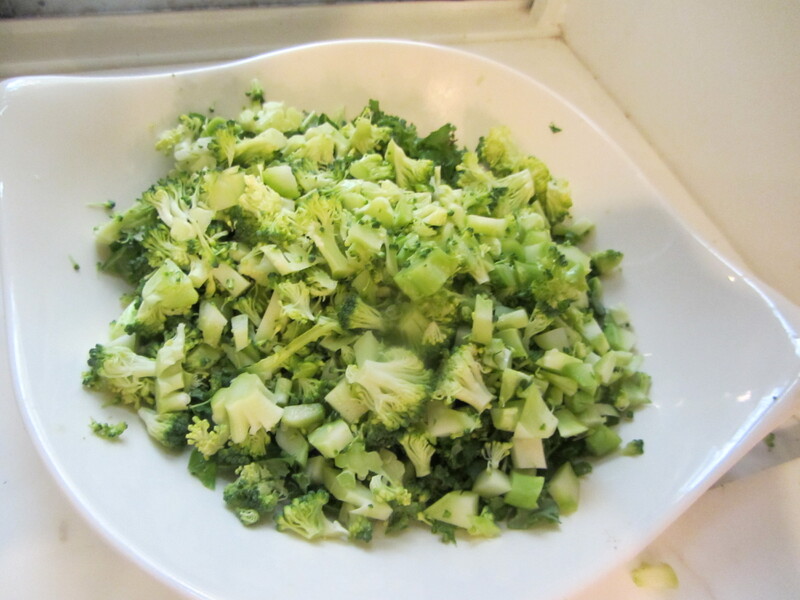 Wash the broccoli well. 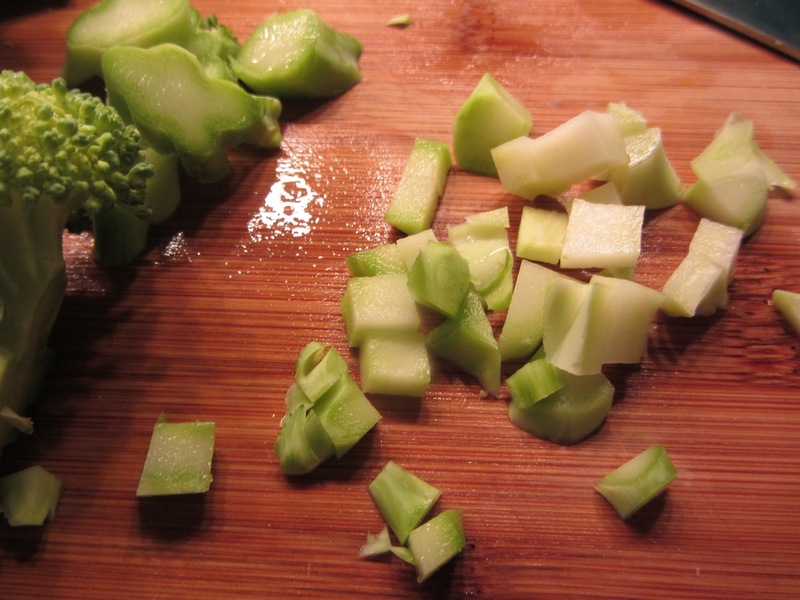 Slice the broccoli stalk into thin discs, then chop each disc into about 9 pieces. Chop the florets into tiny pieces. 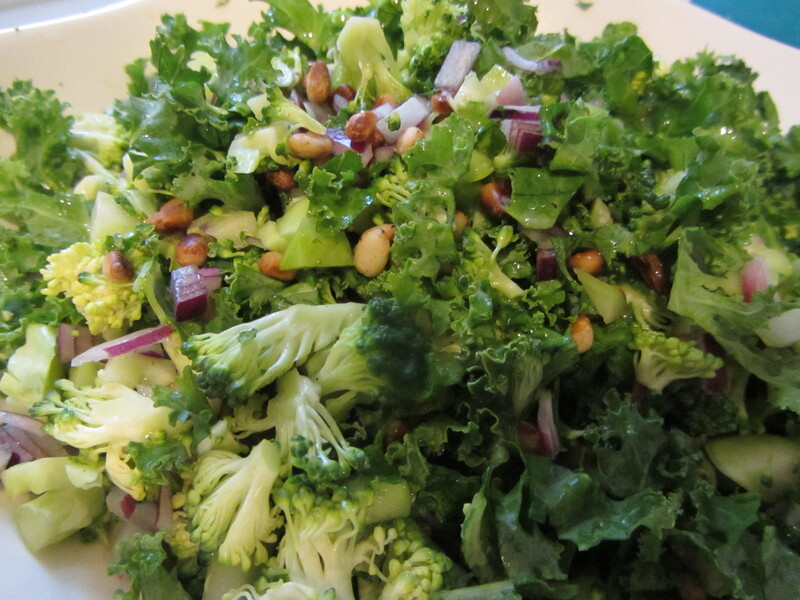 Cover the chopped kale with the chopped broccoli. 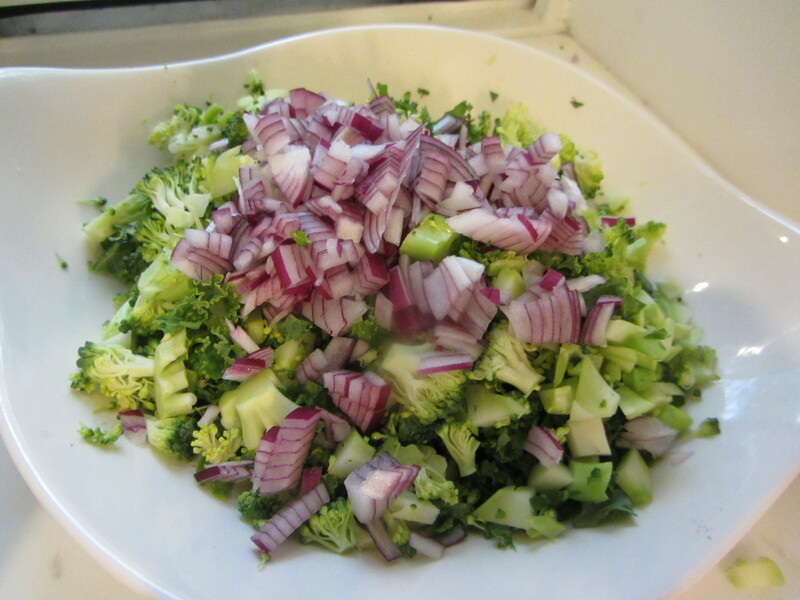 Chop the red onion into similarly sized pieces. Place on top of the kale and broccoli. Add the dry roasted pine nuts (as per yesterday’s recipe), the sea salt and pepper. Use your hands to mix the salad well. Squeeze the lemon over the salad; add the olive oil and mix well.